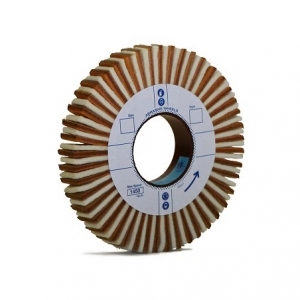 This particular wheel is suggested for Melamine paper panels, especially for the edge finishing. It can be set up on edgebanders in order to remove residuals of glue and solving the problem of glue surplus on without damaging the surface. Its employment void the use of chemical agents.